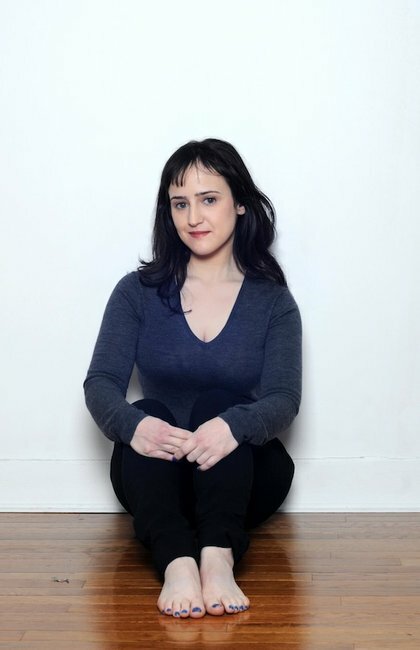 Mara Wilson: The poster girl for well adjusted former child stars. Meet the poster girl for 'well-adjusted post-Hollywood child stars'. For most eight year olds, life is pretty surreal. The days are long, filled with monkey bars and magic, slip and slides, spelling words and an uncorrupted, blissful sense of wonder. For child actors, not so much. They inhabit in the adult world before their time, missing the magic as they make it. If you’re a millennial, or the parent of one, chances are you’ve recently watched your favorite child stars turn from dimpled, peachy cheeked wunderkinds into wild, drugged up felons. At some point, distracted by periods and that cute guy with the dreamy eyes in your Monday afternoon maths class, you blinked. The next thing you knew Lindsay Lohan was getting out of jail, Amanda Bynes was abusing celebs on Twitter, and Beibs thinks it’s okay to call some chick a ‘beached whale’. #whatadouche. And, of course, Hannah Montana got engaged to the man of your dreams and swung naked on a wrecking ball. As you do. But there is good news too, my friends. One of the biggest child stars of the 90’s, famous for her roles in Matilda and Mrs. Doubtfire, has grown up to be the poster girl for the ‘well-adjusted post-Hollywood child star’. That’s right, Matilda Wormwood – your magically nerdy BFF with the awesome hair ribbon – lives on. Her name is Mara Wilson and she rocks. At age 13, while most of us were still mourning the fact that we didn’t receive a letter from Hogwarts, Wilson was ‘breaking up’ with Hollywood and searching for a more ‘fulfilling’ pastime. ‘I like to think of it as a mutual break-up: Hollywood didn’t really want me anymore, and I was over it, too,’ she writes on her hilariously candid blog, Mara Wilson Writes Stuff. ‘Here is something no real celebrity will ever tell you: film acting is not very fun’. Wilson graduated from NYU and now works as a writer, playwright, stage actress and voice actress. 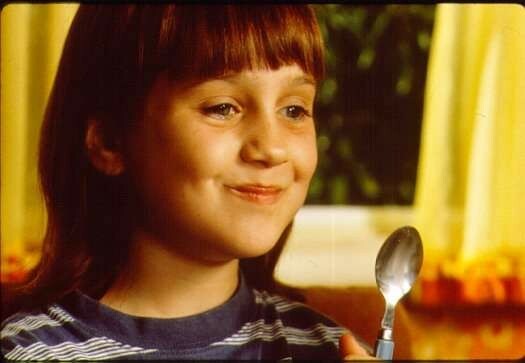 Matilda – Your childhood best friend. GAH SHE’S SO CUTE I WANT TO PLAY BOARD GAMES WITH HER. 4. She won’t be your best friend (or your girlfriend) just because you ask. Dammit. If we met in real life, perhaps we could be friends. I have made friends online, but it was through discussion, shared interests, and appreciation of each other’s work that we became friends. It was not by someone asking to be my best friend. Friendship is a mutual thing. And the best part? She really isn’t alone. Check out these other child stars that have grown up to be totally remarkable adults. Bella Westaway is a 20 year old journalism student and an intern at Mamamia. You can check out her blog here.